Do you believe that science is important? Are you frustrated about how science, scientists, and evidence-based policymaking are under attack? Do you want to stand up in support of science? On Saturday, April 22, the March for Science is happening in downtown Portland and around the world, and it’s a chance to show your support for the vital role science plays in our health, safety, economies, and governments. To prepare for the March, join us on Thursday, April 20, at the Lucky Lab Brew Pub in Portland to make signs to carry at the March! It will be a casual evening with time to meet with other science enthusiasts, make plans for marching on Saturday, and to make clever signs. We will provide poster paper and markers for anyone to use. 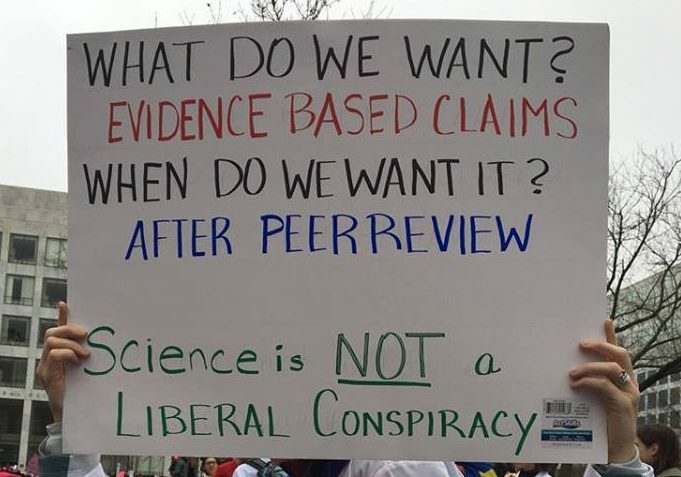 Even if you’re not joining in the March on Saturday, you’re welcome to come to the sign-making party to help show your support for science and create signs for others to carry. This is a free event and you can drop by anytime between 6:00-9:00pm. Food and drink will be available for purchase. Want to help out but can’t attend? Donate to the March for Science!